Even though I was there shortly after they unlocked the doors there was a line-up. I ended up waiting for about an hour and a half, and then it was over in less than a minute. Another fifteen minutes in the waiting room and then I was on with my day, feeling slightly more secure in the knowledge that while I was not completely out of the woods I had done something that might be of benefit. You see, I had just gotten my influenza vaccine. I realize that vaccines, and particularly those for influenza, can be a bit controversial. And I admit I haven't always gotten them, but this year I realized that having to take days - or weeks - out of my schedule for illness would not work well for me. And I debated it, too, because I believe the Intrepid Junior Blogger and I both had H1N1 in 2009 when it first appeared, although the strain of flu we developed was never formally identified. But, I weighed the risks, and the benefits, and then I rolled up my sleeve and the lovely (and very gentle) nurse at Public Health took care of the rest. We are seeing a surge in influenza in Alberta this year, with H1N1 being one of the predominant strains. What is most worrisome about this one is that instead of hitting the elderly and the young hardest, as most strains do, it hits hard at the 30, 40, and 50 year old crowd, a group where I find myself in the centre. It is an uncomfortable bulls-eye, and after a bout of bacterial mycoplasma pneumonia in my twenties that left my lungs a little compromised I decided that in this case wisdom was the better part of valour, and I lined up for my flu "jab" along with dozens of others. I'm not going to tell you whether or not to get the vaccine, although in my opinion one of the reasons we enjoy longer life spans and relatively good health is that we have vaccines that have virtually eliminated the diseases that used to kill us. My parents had siblings that died of vaccine preventable diseases, long before the vaccines were available, and other extended family members experienced the ravages of things like polio, mumps, and measles, which can have long and lasting effects. I am a believer in vaccines, although I believe in educated choices, too (I was apparently the only parent who refused the Hepatitis B vaccine for my child when she was in Grade 5, opting instead to pay for Twinrix vaccination that covered two strains of hepatitis, and the only one to outright refuse to have her vaccinated for HPV as I felt it could be just as easily done when she was a bit older - and when she was in Grade 1 I refused permission for tuberculosis testing when I learned that such broad spectrum testing was not advised by any international medical organization, particularly in children who had no known TB exposure). And that is why I did my research, weighed the odds, calculated what made sense for me - and then went and had the flu vaccine. If you should opt for vaccination Public Health in Thickwood is offering it, including on Saturdays this month from 8:30 until 4:00 pm. Many pharmacists and doctors offices also offer the vaccine, and so there is no reason to not access it should you wish to do so. And while the vaccine is not 100% effective (no vaccine ever is) it may help you to avoid days or weeks of misery - or even worse. In my opinion the wait and the seconds of discomfort are worth it - but in the end only you can decide if it is worth it to you. If you do happen to experience influenza this year, whether you have been vaccinated or not, please get better soon - and do the rest of us a favour and stay the hell at home, because not only will you recover sooner you will not infect the rest of us. 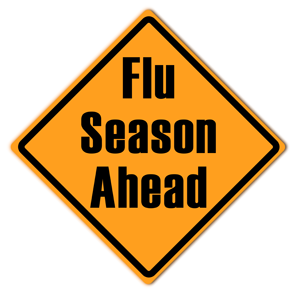 This could be a long influenza season given our cold temperatures - I hope you stay well, whether or not you decide to ge the jab.